Goodmorning everyone! 🙂 I hope you are having a wonderful Wednesday! 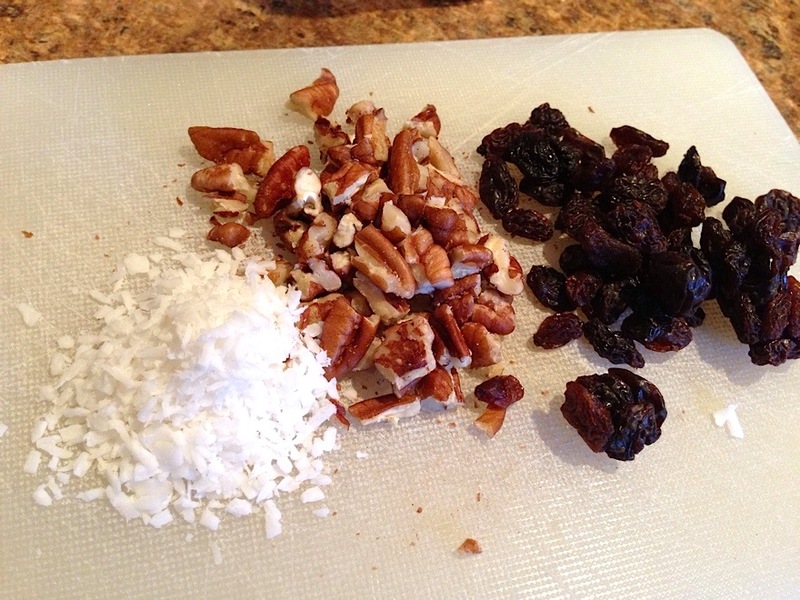 To help make your day a little sweeter, here’s a quick recipe you can whip up for a late brunch or for a sweet treat! The sweet potato goes so well with the warm oatmeal and cinnamon flavour. Topped off with homemade Sugar Free Chocolate Sauce & Cinnamon Swirl Butter, this dish will make any cinnamon lover more than happy! -1 tsp-2 tsp cinnamon depending on how much you like! Directions: Place your sweet potato on a small plate atop a piece of paper towl. Poke holes in it a few times with a fork. Place in the microwave for 5min. Meanwhile, just before your sweet potato is finished cooking, prep your oatmeal by combining the dry oats with almond milk & a dash of salt. When your sweet potato has finished cooking, place your oatmeal in the microwave for about 1:30-2:00min or until cooked to your liking. 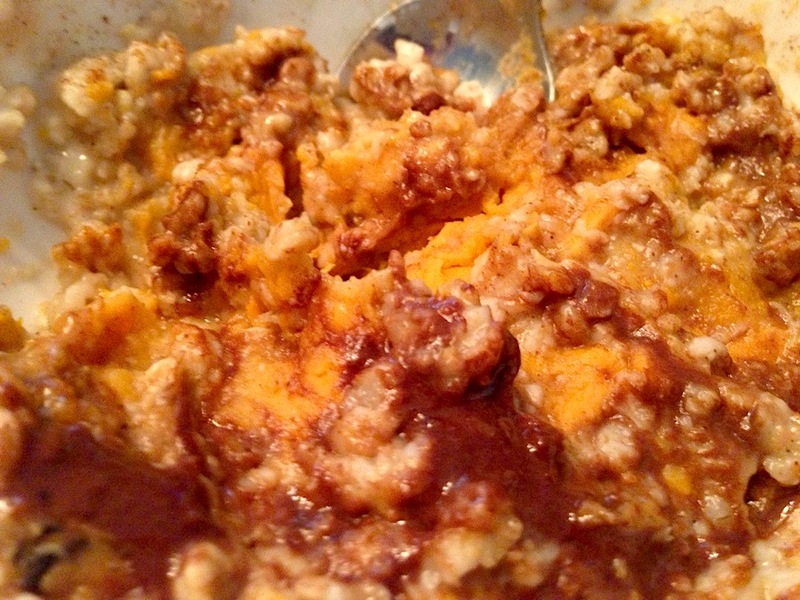 Mash your sweet potato with a fork and spoon into your cooked oatmeal. Add in all your other ingredients and stir to combine. Top with additional cinnamon, truvia & a sprinkle of salt. Then plop on your Cinnamon Swirl Butter and Sugar Free Chocolate Sauce. Stir a little and dig in! Enjoy!